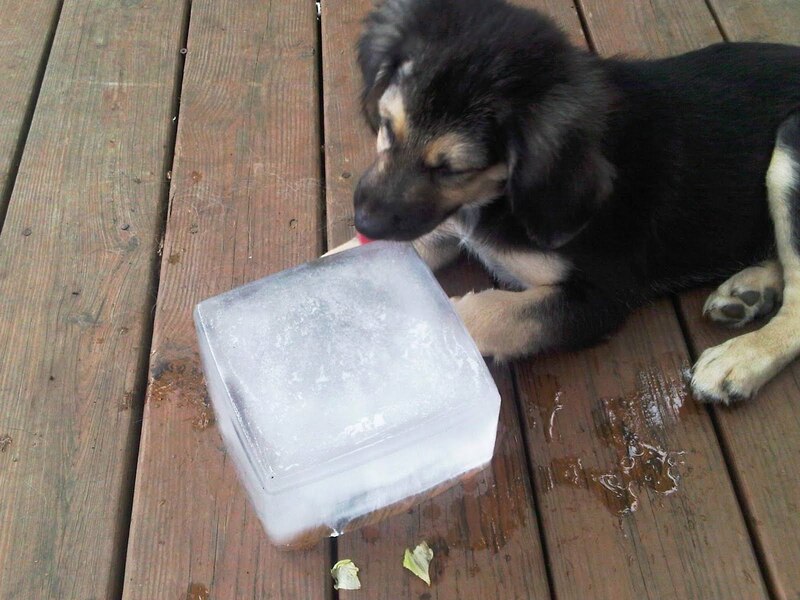 When you said a block of ice, I had no idea it was that huge! How did you even make that? LOL. The new pup is adorable! Strider is a sweetie! 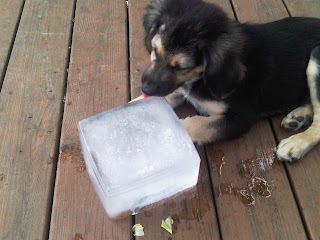 Here's to cooler days, Strider, I'm with you! !